In today's complex marketplace, an enterprise's key business processes are being driven by the flow of file-based information. As important as it is for these files to be transferred reliably and securely, it is also crucial for enterprise to better govern their file transfer solutions. Higher levels of compliance, risk mitigation policies, better governance and tougher security are all required for enhanced business value. 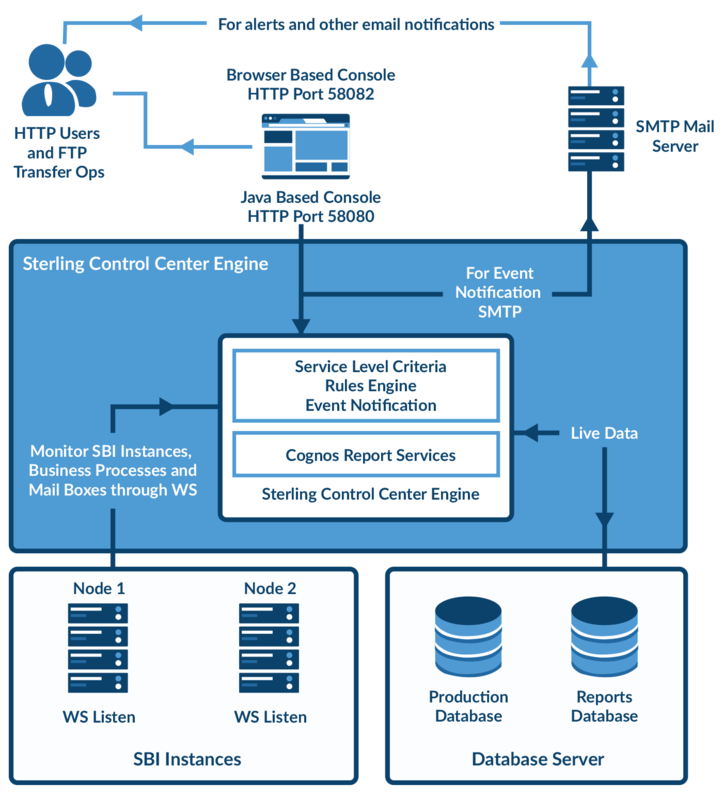 IBM Sterling Control Center helps your organization to track your critical events across your B2B and MFT software for enhanced B2B governance. SCC helps you to implement business policies, and in turn alert your personnel when a policy is violated. This rule-based monitoring helps you to ensure that your SLA’s are not affected and also help you quickly identify issues through customizable reports and dashboards.